Saskatoon, SK, May 2, 2013 – Canadian Lentils in partnership with Chef Michael Smith announced today the Love Your Lentils Canada competition, which challenges home chefs and food bloggers to develop and adapt recipes that could become a new favourite for family mealtime. All Canadians are invited to test them out and vote for their favourites. The competition will be split into two divisions: Food Bloggers and Home Chefs. Home chefs will be asked to take one of Chef Michael Smith’s existing lentil recipes and add their own twist to it, while bloggers will be asked to submit completely unique lentil recipes. Visit www.loveyourlentils.ca to submit adapted (Home Chefs) or original (Bloggers) lentil recipes. Then, invite your family, friends, fans, and followers to cast a ballot for your recipe – there is a chance they could win, too! The top ten (10) recipes in each segment as voted on by the general public will then be reviewed by Chef Michael and his team, who will select the top three (3) recipes in each category. The winning Blogger and Home Chef will be flown to Saskatchewan and hosted at the Delta Bessborough where they will spend a day with Chef Michael Smith touring the city and taking in some lentil highlights. Joining them will also be one (1) randomly selected voter from the campaign. The six (6) finalists with their recipe and pictures will be featured and promoted on www.loveyourlentils.ca and www.lentils.ca. The top three winners will also be featured on Chef Michael’s website, http://chefmichaelsmith.com. Check out www.loveyourlentils.ca for all the details. 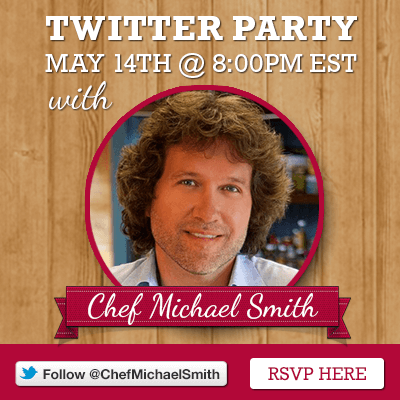 Tweet with @chefmichaelsmth and @cdnlentils at the #lovelentils Twitter party on Tuesday, May 14th at 8 p.m. EDT. Canadian Lentils is an Official Mark of Saskatchewan Pulse Growers, a farmers’ organization that works to advance the lentil industry in Saskatchewan, the heart of the lentil growing region in Canada. For more in formation about Canadian Lentils and to see more great ways to cook with lentils, visit us at www.lentils.ca. Like us on Facebook.